New York City lost more than 11 million square feet of industrial space to rezonings between 2007 and 2016, according to a new report. Although several large rezonings of manufacturing space in the city went into effect during the early 2000s, millions of industrial square feet have also been rezoned over the past decade, an analysis by Ariel Property Advisors found. Some properties been transformed into residential lofts and offices, but a surprising amount remains vacant — about 2.3 million square feet. The majority of these rezonings in the last decade took place in Manhattan, which lost 4.54 million square feet of industrial space across 230 lots, and Brooklyn, which lost 4.12 million square feet across 454 lots, the data show. Queens lost 1.28 million square feet of industrial space across 368 lots, while the Bronx lost 1.05 million square feet across 124 lots, and Staten Island lost just 63,519 square feet across 15 lots, according to the report. Ariel Property Advisors also examined how much of this industrial space was replaced with residential space. Brooklyn led the way in how much residential space was gained from the loss of industrial space with 2.74 million square feet across 117 lots, according to the report. Manhattan was next with 1.58 million square feet across 64 lots, followed by Queens with 490,000 square feet across 42 lots, the Bronx with 570,000 square feet across nine lots and Staten Island with 2,730 square feet across two lots. In some cases, once the industrial building saw the wrecker, nothing replaced it. Of the 2.3 million square feet of formerly industrial space that became vacant, 1.6 million square feet of it was found in Brooklyn. “Maybe people had plans to build up something else. In the meantime, they got rid of whatever industrial property was there, and now there’s nothing,” said Aryeh Orlofsky, head of research at Ariel Property Advisors. 262 Kent Avenue in Williamsburg, which was rezoned from industrial to residential in 2010 as part of the redevelopment of the Domino Sugar Factory. Workers demolished an 889,000-square-foot industrial building on the site that is being transformed into a mixed-use building. 26-01 1st Street in Astoria, which was rezoned from manufacturing to residential in 2013. A 52,825-square-foot building was demolished as part of the Durst Organization’s Hallets Point project. The mixed-use building is expected to be 22 stories tall with 224 apartments, and the company broke ground on the site in January of last year. 1560 Boone Avenue in Claremont, which was rezoned from industrial to residential in 2011. A 65,850-square-foot industrial building was demolished, but the site is currently vacant with no filed development plans. 636 11th Avenue in Manhattan, where a 480,000-square-foot candy factory was transformed into an office building. The zoning change occurred in 2011, and the space is now the New York headquarters of international advertising firm Ogilvy & Mather. Ariel Property Advisors put together its report by comparing New York City planning and land use data (called PLUTO) between 2016 and 2007, counting lots where the building class changed from industrial to anything else. It also tabulated lots that showed a decrease in total industrial building area. PLUTO data is a useful but imperfect way to analyze the amount of changing industrial space in the city, since it does not always account for mixed-use or vacant buildings. A previous study commissioned by the city found that manufacturing space throughout the five boroughs decreased by 855 acres from 2002 to 2012 due to rezonings. 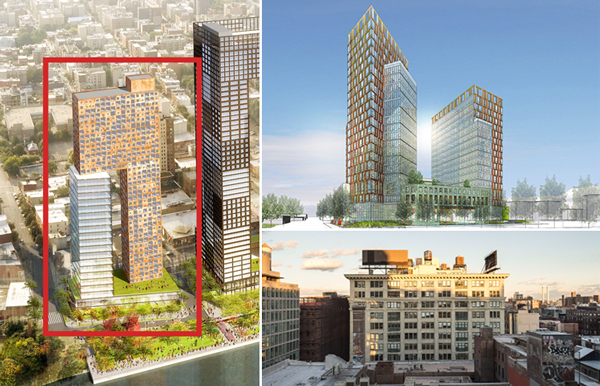 Ariel Property Advisors’ Brett Campbell was surprised to see that Manhattan lost the largest amount of industrial square footage between 2007 and 2016, saying he did not realize the borough had that much industrial space to lose. The Bronx, on the other hand, saw a comparatively low amount of industrial space converted, which the report attributed to the lack of an established condominium market and relatively cheap rents in the borough.